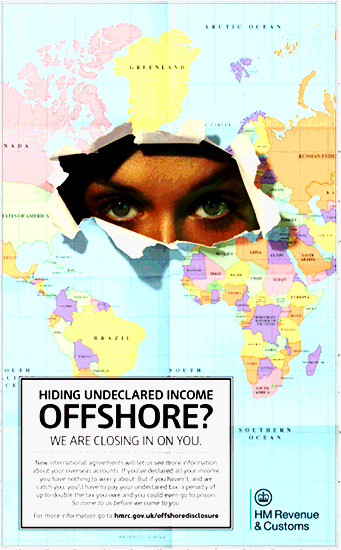 Her Majesty’s taxman’s warning — but not for the Camerons and their friends. In the past few weeks the president and his cabinet ministers, the party leaders and pundits and the imitation legal analysts have taken it upon themselves to aggravate the offense to national dignity and Panama’s slight international standing. First of all the difference has been shown between the principles they espouse and understand as national dignity and what these days is considered one of the structural elements of every modern state. Thus it’s important for us to take a moment to summarily consider this subject. They, forever discarding citizen participation, have been primarily speaking up in defense of the personal interests of those most responsible for the moral damage that has been done to Panama. They’re maintaining the vices of a political system imposed in 1972, originally by the military regime and later adopted by themselves. It’s still in effect. The problem that concerns and aggrieves us is not one that can be solved by simply applying a more refined legal technique to correct the grossest vices of our weakened public institutions. If indeed the use of good legal techniques will eventually be necessary, this is not the main thing. The principal problem that we face is that the people who run our government lack a vision of our country. They have even less of a vision of the our country’s place in the world. The only things that our politicians can talk about are the canal, tourism, business and the money that these things mean for their Panama. But from all these resources that have come into and are coming into Panama, who benefits? If our country is so prosperous, why don’t we invest in education instead of in the masters of spreading corruption? Why we have not developed a country where everyone can build their future while contributing to the development of their community? Consider this not only in terms of money or material goods, but in terms of solidarity, in terms of common identity, as a matter of the development of the individual and collective potentials that our people have. Panama can’t just be a canal and an offshore government. The Panamanian people are much more than that and for this reason we urgently need an environment that allows a process of dialogue, debate and discussion, which sets aside imposition, autocracy and all the rampant corruption.